Inspired to begin sculpting in 1964 when he went to an art show by George Phippen, the first President of the Cowboy Artists of America, Bill became a member of the Cowboy Artists of America in 1978. Since then Bill has won Gold and Silver in sculpture, Best of Show and the Phoenix Art Museum Purchase Award, as well as being twice elected President by his fellow artists. His extraordinary talent has been recognized by several cities in Arizona by awarding him several important, larger than life-sized statue commissions, to depict their historic or current honorable citizens. Prescott has his four figure monument “Early Prescott Settlers”, Glendale enjoys his “Territorial Sheriff”, and Phoenix is honored by his “Memorial to Fallen Officers” at the Arizona Department of Public Safety Headquarters. 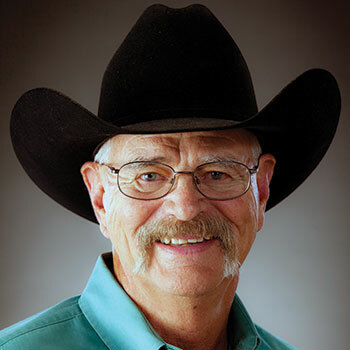 In June of 2006 the Pikes Peak or Bust Rodeo in Colorado Spring, Colorado unvieled a portrait statue of Robert C. Norris in front of the new Norris/Penrose Events Center. In 2009 Nebeker was honored by the Arizona Historical Society and Marshall Trimble, Arizona’s State Historian, with the Arizona Culturekeeper Award, for his outstanding contributions to the history, art, civic leadership, and entrepeneurial spirit, because of his bronze sculptures enriching several Arizona cities. Nebeker is a participating artist in the Cowboy Artists of America Show & Sale, as well as the Prix de West Invitational Show & Sale at the National Cowboy and Western Heritage Museum in Oklahoma City, OK; the Autry Museum’s Masters of the American West in Los Angeles, CA; Quest for the West Art Show at the Eiteljorg Museum in Indianapolis, IN; at the Phippen Museum Western Art Show in Prescott, AZ and the Cheyenne Frontier Days Western Art Show at the Old West Museum. 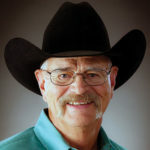 His work is in the collections of the Eiteljorg Museum, National Cowboy and Western Heritage Museum, Old West Museum in Cheyenne, Booth Western Art Museum, Museum of Western Art in Kerrville, Phoenix Art Museum, Phippen Museum in Prescott, Palm Spring Desert Museum and Desert Caballeros Museum in Wickenburg. well as many of the prestigious corporate and personal collections around America.